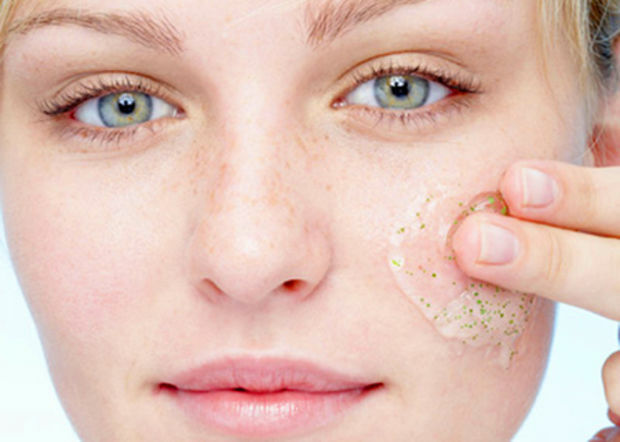 Why should you Exfoliate your skin? The first step to clear and Glowing skin is exfoliation. As we age our skin CELL TURNOVER RATE slows down. Cell turnover is the process by which our skin produces new skin cells which travel from the lowest layer to the top layer and then shed off the skin. The skin that we see is mostly layers of dead skin, which is dull. The dead skin cells should shed well, unfortunately they don't shed really well as we age. so assist the process of shedding dead skin cells we need to exfoliate. There are two ways to exfoliate - Manual exfoliation like apricot scrubs or Utbans. But in acne prone they may disturb and spread the underlying infection(means causing more acne). Also larger particles with uneven textures tent to stretch and tear the skin which is damaging int the long run. Chemical exfoliation is a safer way in which the exfoliant gently dissolve the glue that hold dead skin cells to the healthy skin. Once the glue is dissolved, the dead skin cells shed off easily revealing healthy glowing skin. you can use any exfoliates with AHA or BHA or just honey. By the way milk, yogurt citrus fruits all give results on skin by the way of chemical exfoliation. But Honey is one of the best ingredients. People who are prone to acne specially need to exfoliate their skin, so that dead skin cells wont clog their pores. And Chemical exfoliation is a better option because dead skin is removed with out disturbing existing acne.